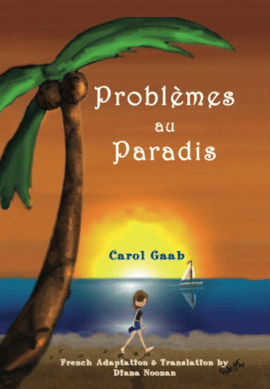 Assessments on CD for Mini-stories for Look, I Can Talk! 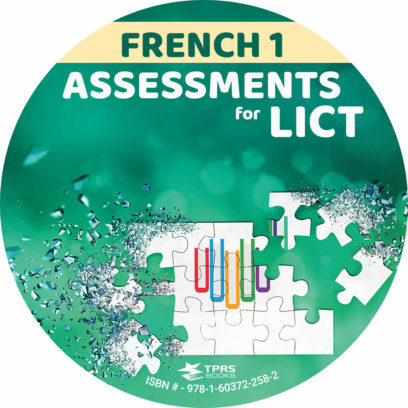 In LICT Assessment Package there are three assessments for each chapter for a total of 18 assessments for the school year. There are two formative assessments and a summative assessment per chapter. The formative assessments are short quizzes that correspond to the first two lessons of the chapter while the summative assessment is a cumulative evaluation. The first quiz has three sections: a listening section where they need to identify what the word or phrase means and then two reading sections. The second quiz has a listening section where students must match the sentence(s) to the pictures and various reading sections. 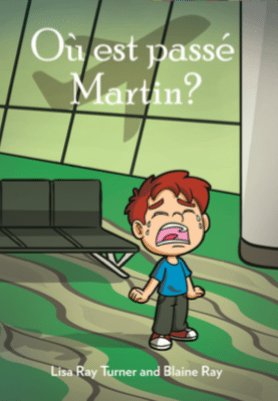 The chapter test contains a short story script that is dramatized by actors and students will listen to it and answer multiple choice comprehension questions about it. There are also multiple reading sections, two writing sections and a speaking section. Please note that in any assessment, it is best to give your students something you know that they will have success. Therefore, feel free to use any sections you feel are appropriate to assess your students or make your own with these as a guide. The listening sections have been performed by native Spanish voice actors. They were written based on the words from each chapter and might recycle words from previous chapters as well. These are wonderful to bring other voices into your classes. However, you may decide to read those sections to your classes yourself. If you do so, you will find listening scripts in each chapter folder for you to print off and read for the various assessments. It is recommended that students listen to each word or phrase at least 3 times in the quizzes (which has been provided). It is encouraged that you play the entire narration script for the test at least 3 times to make sure students ample opportunities to find success with the new voices/accents or when all students have completed it if fewer than 3 times. TPRS® students do a lot of reading, reading comprehension is significant aspect of assessment. Consequently, you will come across various opportunities for students to demonstrate comprehension. The reading tasks range from matching, to translating sentences to reading short stories and answering questions. There are two writing opportunities on the summative assessments. First, students will choose from various pictures to write about. This is preferred option for the Summative assessment since students are communicating about something with familiarity. The other is a Timed Write form. The Timed writing used as part of a Summative assessment is optional. Rubrics for grading the writing can be found in the rubrics folder. There is one opportunity for speaking in the summative assessment. Students can describe what is happening in the pictures in the Target Language for a predetermined amount of time. A rubric for grading the speaking can be found in the rubrics folder. Points have not been assigned to this task since speaking is seen as a by-product of hours and hours of class time interacting and engaging in the target language. This is an option for teachers in each chapter but not a mandatory evaluation of proficiency in beginning classes.